Former Peterborough United frontman Nathaniel Mendez-Laing returned to condemn Posh to a 2-1 defeat at the hands of Rochdale in today’s (April 9) League One encounter. Posh failed to recover from a disastrous start when visiting striker Joe Bunney gave Dale the lead on eight minutes and then Mendez-Laing quickly added a second. Posh hit back through defender Michael Smith just before the break but it was not enough to avoid a second defeat in five days. Rochdale took no time to get going with Mendez-Laing sent through after two minutes and forcing Ben Alnwick into a good save. Posh failed to spot the warning signs and were behind soon after as Bunney tapped home an inch-perfect Donald McDermott cross. The home side responded and forced visiting keeper Josh Lillis into a good double save after 10 minutes to deny Jon Taylor following a smart cut-back from Tom Nichols. Lillis was in action again on 23 minutes when Jack Baldwin tried his luck from distance. But then Mendez-Laing returned to haunt his former club when firing home from close range after Michael Bostwick had blocked Bunney’s effort on the line. Smith hauled Posh back into the game on 34 minutes when he superbly rifled a shot from range into the bottom corner after exchanging passes with Marcus Maddison to end his 546-day goal drought. And there was an exciting end to the half with first Michael Rose blasted over from a promising position and then Maddison seeing a good effort blocked by a determined Rochdale defence. Posh started the second half well and would have found themselves level if Taylor had been able to connect with a Maddison corner when in acres of space. Harry Beautyman continued to show his eye for goal with a well driven shot straight but it was straight at the visiting keeper. Posh were then claiming a penalty when it appeared Nichols had been wrestled to the ground only for referee Fred Graham to wave away the protests. Chris Forrester made his presence felt after 72 minutes with a rasping drive that was well beaten away by Lillis. 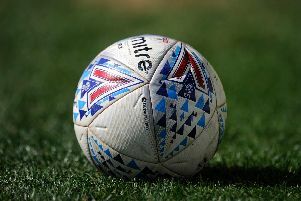 Posh failed to create any clear-cut chances in the latter stages of the game and Rochdale defended well to see out the deserved victory much to the crowd’s frustration. Posh: Alnwick, Smith, Baldwin, Taylor (Samuelsen 63), Bostwick, Maddison, Beautyman (Oztumer 63), Fox (Coulthirst 79), Nichols, Angol, Forrester. Unused subs: Tyler, Santos, Gillett, Williams. Rochdale: Lillis, Rafferty, McNulty, Eastham, Lancashire, Lund, McDermott (Holt 70), Mendez-Laing (Vincenti 70), Allen, Rose, Bunney (Syers 86). Unused subs: Collis, Cannon, Camps, Kennedy. Goals: Posh: Smith (34 minutes). Rochdale: Bunney (8 minutes) Mendez-Laing (23 minutes). Cautions: Posh: Maddison (Simulation) Rochdale: Rafferty (foul).